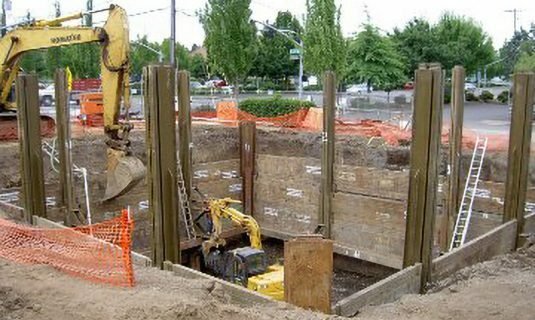 Slide rail shoring is a good option to use for installing pipelines, underground vaults, tanks or in areas where large clearances are needed. Slide rail systems may be installed in almost any type of soil. 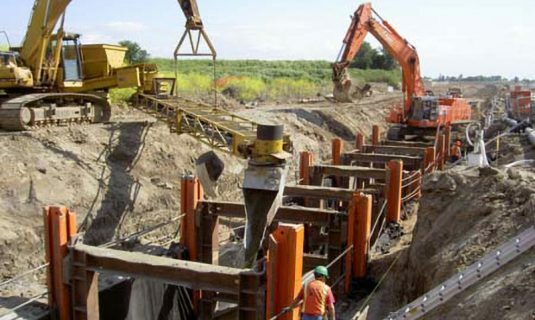 There is no slide rail shoring project too small or too large for JMTE. 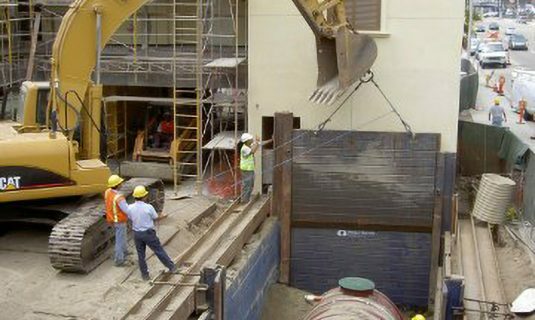 Whether the project is a simple rectangular pit or a complex wale re-braced deep excavation, we are always ready for the challenges that the project may offer. We take pride in the efficiency with which we can turn a project around while maintaining accuracy and innovation. We have developed much of the tabulated data for the rental companies and we have a large library of slide rail components for most of the different systems so that your plans are as accurate as possible.